Timisoara (Central) Hotel is the largest hotel in the city, with 191 rooms and 18 suites. 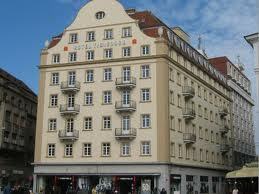 The guests have the advantage of the prominent position in the very city center. The hotel's public spaces shelter an important collection of contemporary Romanian art. Refurbished and newly renovated, Timisoara Hotel is identified, more than ever, with the city, whose name it wears: cosmopolitan, connected, surprising and effervescent. Located at the entrance in Timisoara, on the road from Cenad Custom, the hotel and restaurant Torontal 3 * awaits you in an elegant and comfortable ambiance. The quality of utilities, interior design and attention to the smallest detail, professionalism and efficiency of services are taking in consideration to guarantee you a memorable stay to the Hotel Torontal 3 *. In a welcoming atmosphere we want to offer you a pleasant stay in one of the 20 rooms and 3 suites. To fully enjoy the comfort when you are away from home, we took care to equip rooms with minibar, TV, cable, air conditioning, telephone, hairdryer. 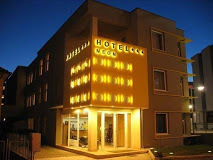 Neon Hotel from Timisoara is located on one of the most important roads of Timisoara (E671, DN69) Aradului Street, No 85. From here you can reach easily and in a short time in the city center, the Iulius Mall, Banat's University of Agricultural Sciences and Veterinary Medicine “King Michael I of Romania” from Timişoara and various shopping centers. The 15th single and double rooms, and also the elegant apartment of the Hotel Neon in Timisoara offers three stars conditions, each room being equipped with TV, telephone, wireless internet access, air conditioning and minibar, giving you an intimate, welcoming, designed to guarantee you a comfortable staying. Our goal is customer satisfaction which will find here the best quality – price rate. The friendly and highly trained staff will be available for you whenever you need information and suggestions about where you can spend a pleasant evening or about the attractions of the city of Timisoara. Payments accepted in our reception: cash or credit card (Visa and Mastercard). Price / km: 2,19 lei.